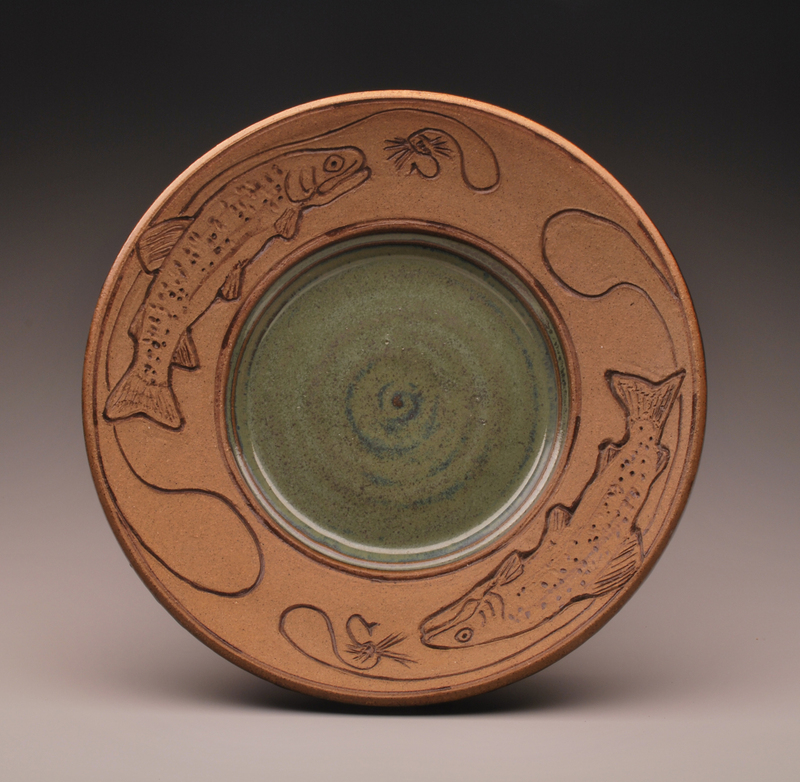 I make functional stoneware pottery for everyday use! Please feel free to browse through the gallery. 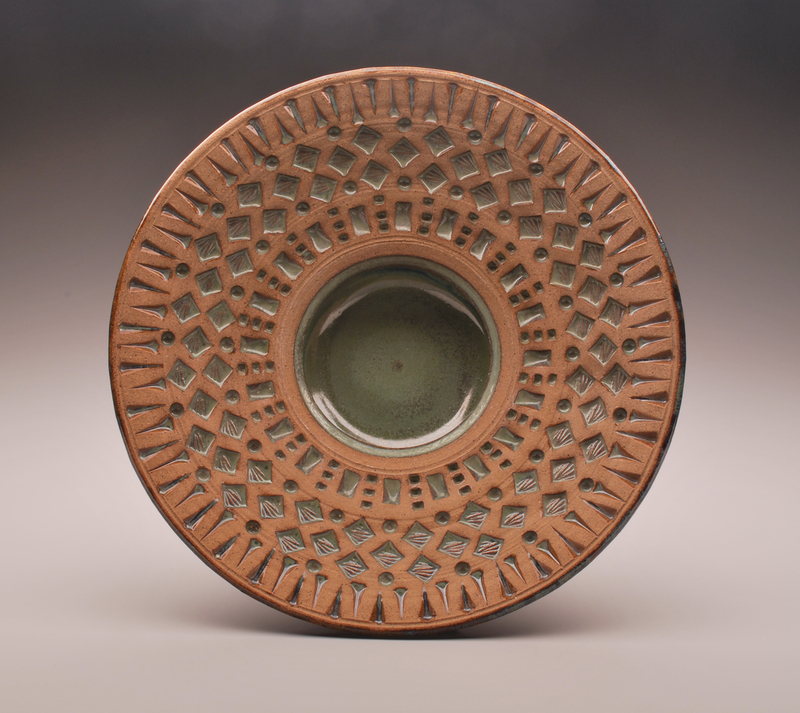 All Pinder Pottery is microwave, dishwasher, and oven safe. Each piece is fired to 2167 degrees at which time it vitrifies to a strong, non-porous surface; making it practical for everyday use. Don't forget to look at the Events tab for the Twenty Dirty Hands event and the Galena Studio Tour events where we welcome you to our open studios for demonstrations, tours, and light refreshments. This is a unique opportunity to take a self-guided studio tour and meet the artists, see them work, and learn the story behind their artwork. 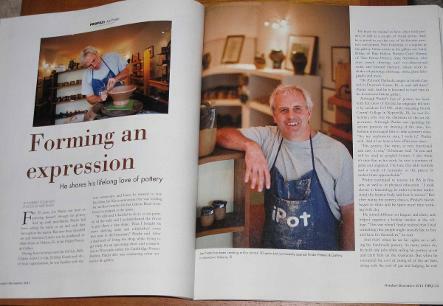 I did not have a conscious decision in high school to have the dream of making pottery as a profession. As a young child, I made dough art, use oven fired sculpture clay. I even made sand sculpture using sand under swings in the localparks. I made hundreds of drawings, paintings and sculptures through high school and through college. I never thought to make functional pottery. 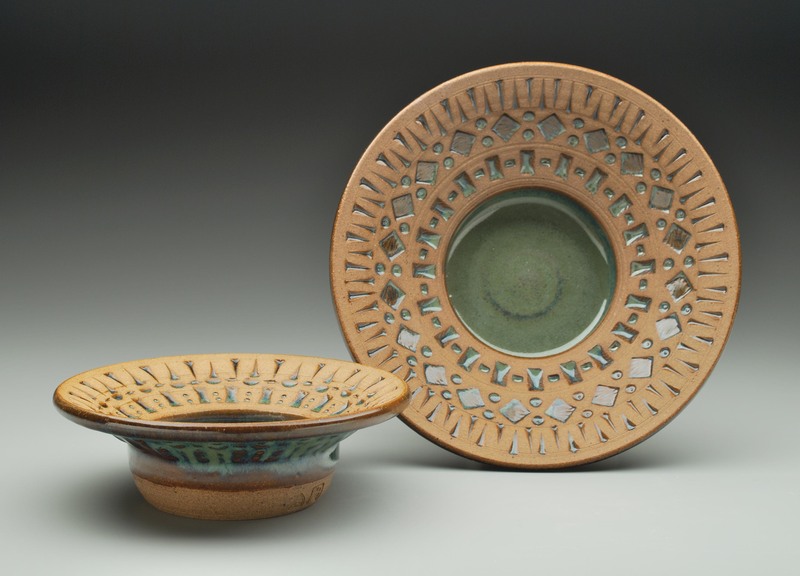 From my view, I simply did not have any interest and did not see the value in making pottery that has been mass produced from commercial businesses for last 200 years which is stocked in every big box stores and small retail stores. 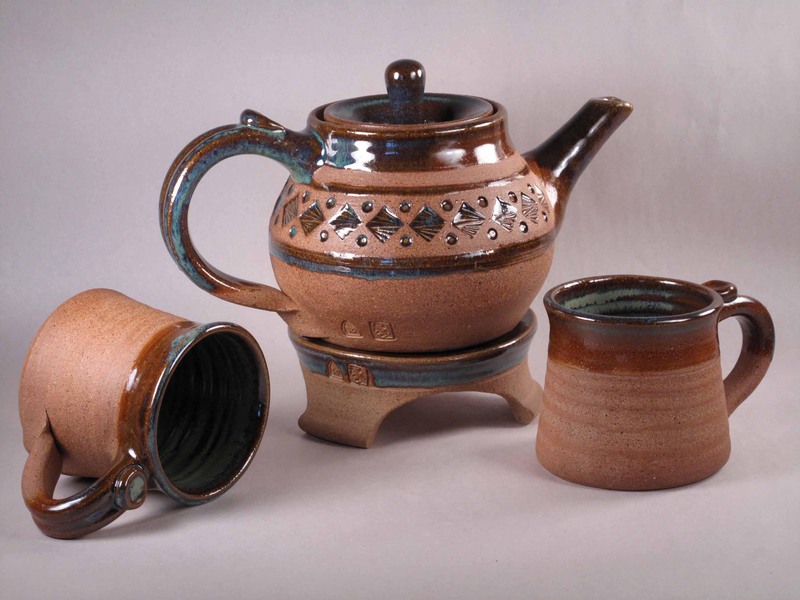 Potters should notbe making items in the same way they are made in large manufacturing companies. This is the reason for my unique clay color and texture I use would never be used by large manufacturing pottery companies. 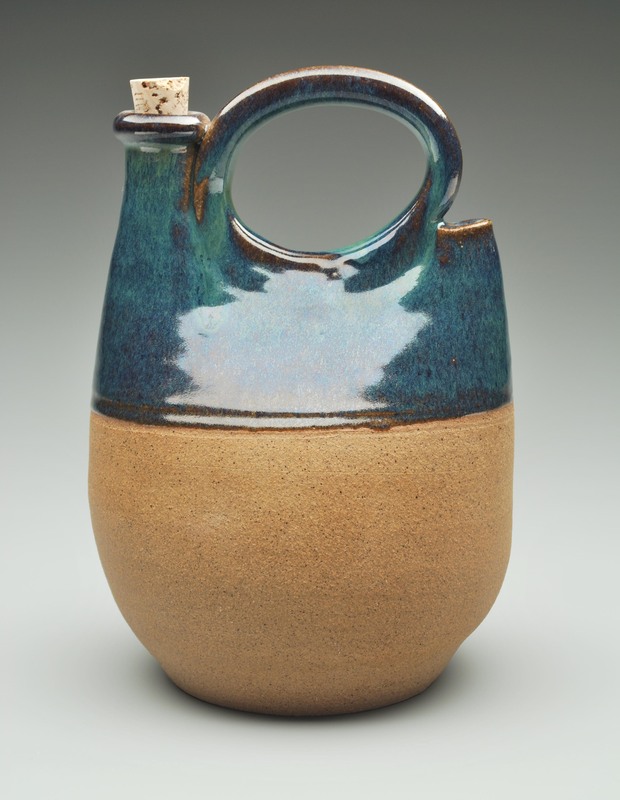 My advisor in college signed me up for an entry level pottery course in 1985 during my 2nd year of college. On my first day of pottery class at North Central College, I made what was comfortable. I made a life-sized sculpture of one of my gym shoes that I was wearing that day, while other classmates made pinch pots. I have always enjoyed a challenge and do not want to make the ordinary or simple. One of the challenges every artist makes every day is to choose their canvas, color scheme and surface texture. My canvas is my clay clay color. My color scheme and designs have been purposefully chosen because of my drawing, painting and sculpture background. 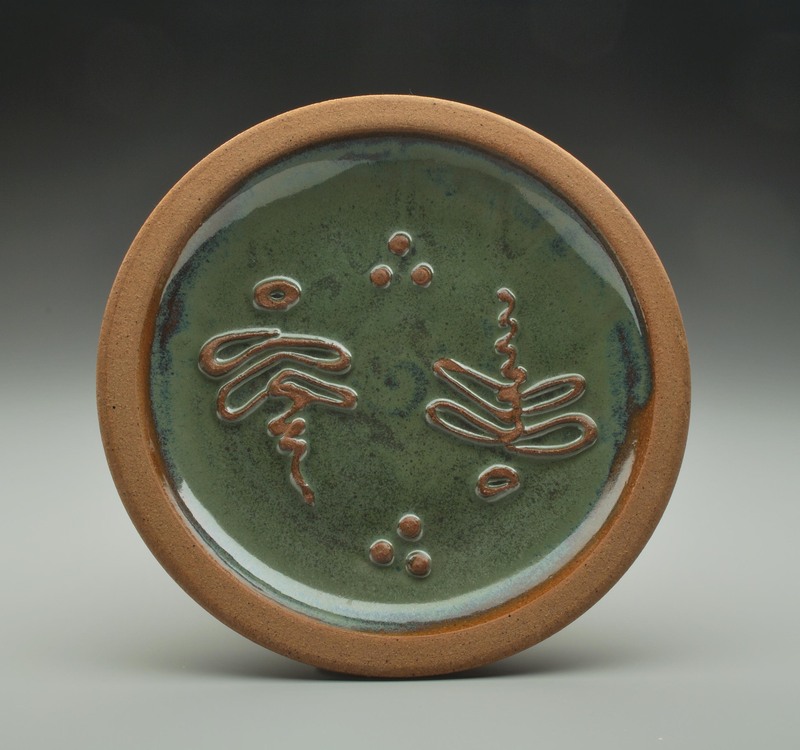 I believe that clay surface should be a complimentary surface to the glaze decoration instead of being completely covered by glaze. 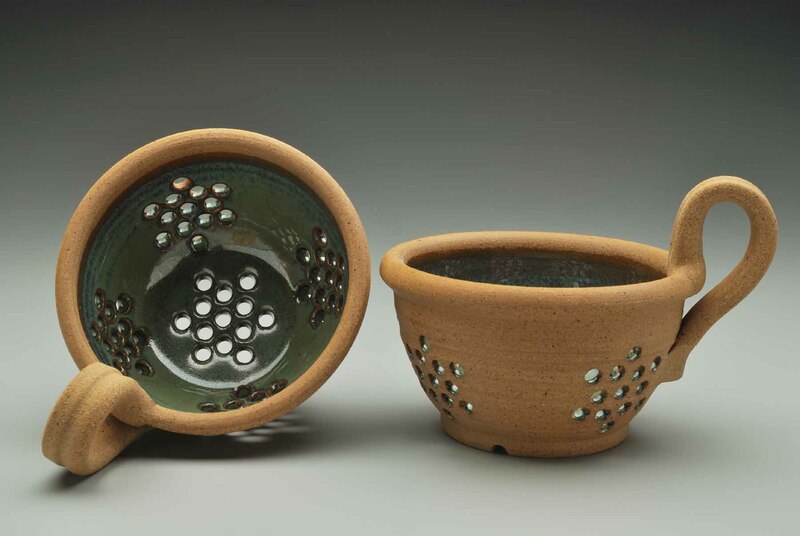 There is a visual texture on the pottery surface that not only can be seen in drawings, paintings, and sculptures, but can be touched when unglazed. 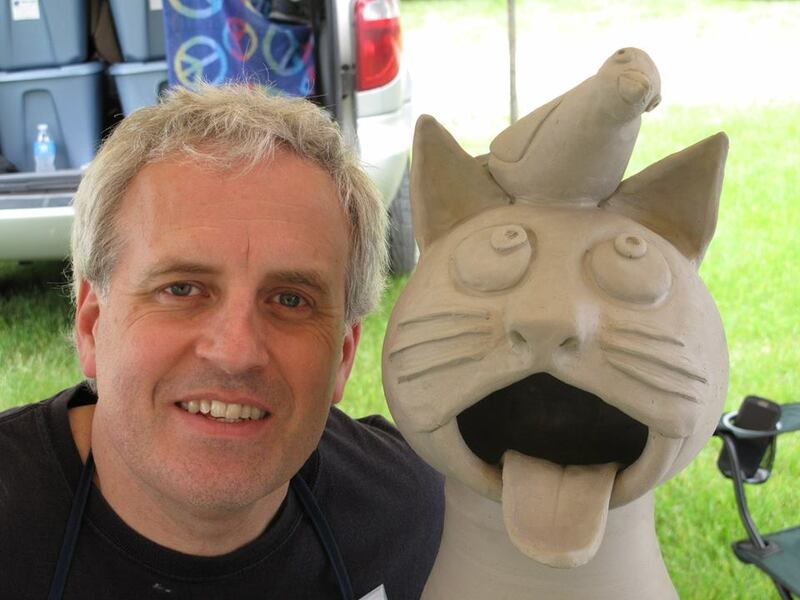 My forms are strong, meaningful, and purposeful forms and is a great surface to stamp or sculpt a design. 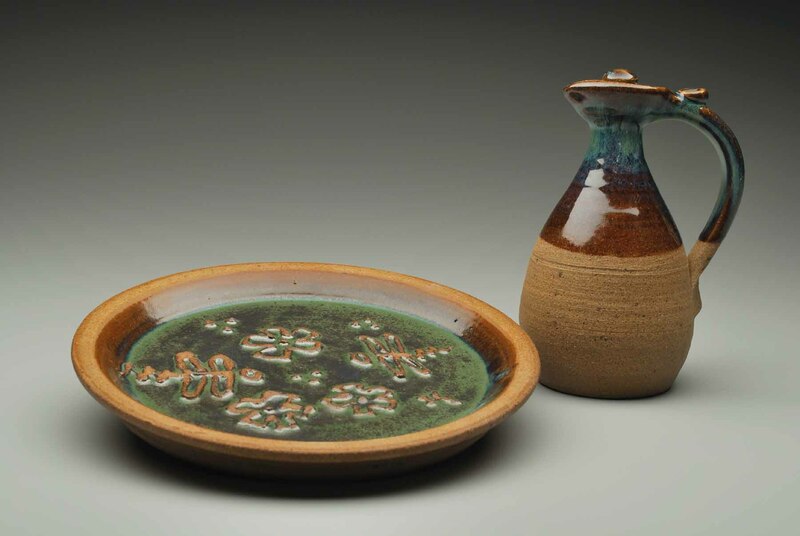 I believe that clay surface should be a complimentary surface to the glaze decoration and not hidden with glaze. 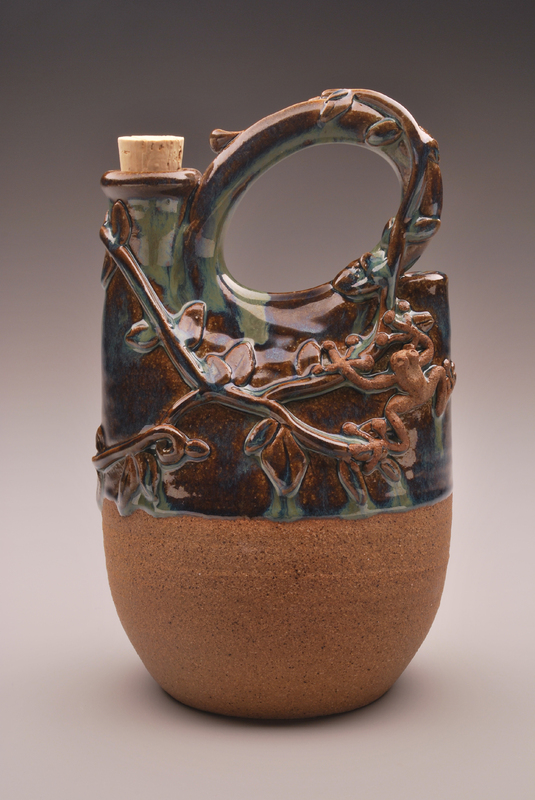 Many potters spend 90% their time making the form then give only 10% effort toward surface treatment. My forms are strong, meaningful, and purposeful forms. 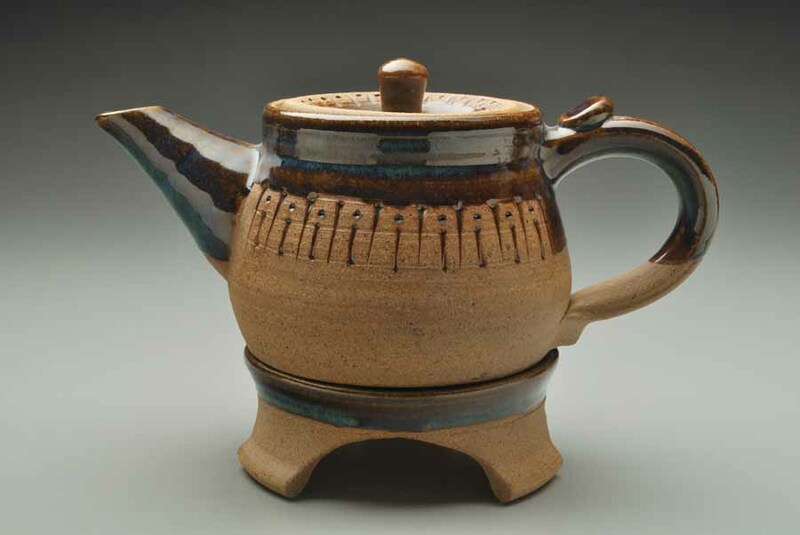 Pinder Pottery Gallery also features the work of fellow Jo Daviess county potters- Paul Eshelman, Carol Mantey, and the pottery of Christina Lemon. I also have artwork from Galena Artists Carl Johnson. Click the Gallery link for more information about each artist.